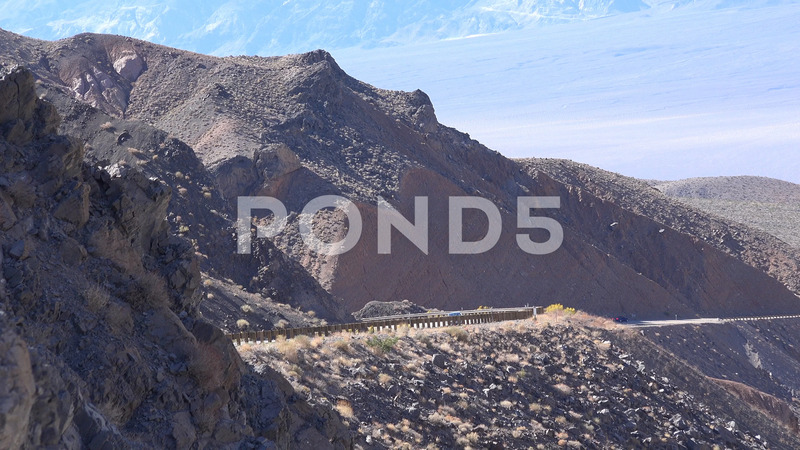 Description: Traveling with a RV or trailer across the desert around Death Valley National Park. Campers and snowbirds travel to the warmer dry locations when winter is baring down at home. New and older motor coaches as seen from a distance along the lonely desert highway.